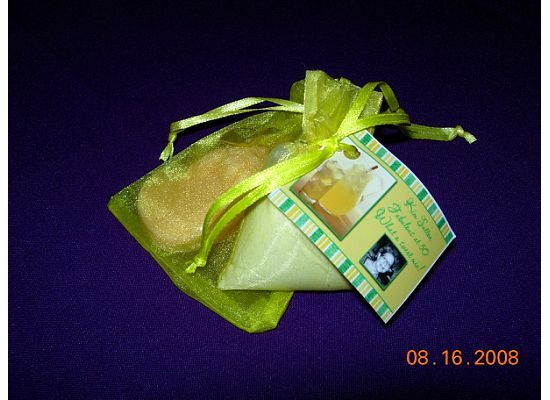 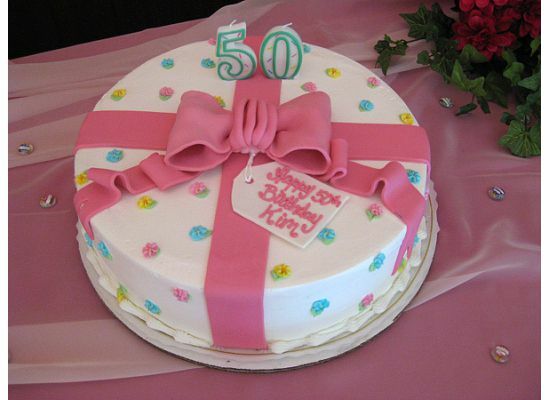 This was a surprise 50th that went off without a hitch! 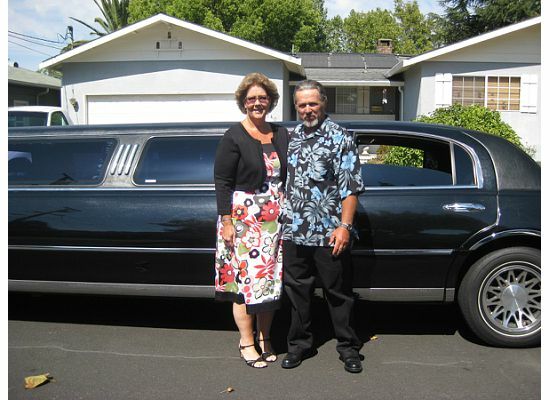 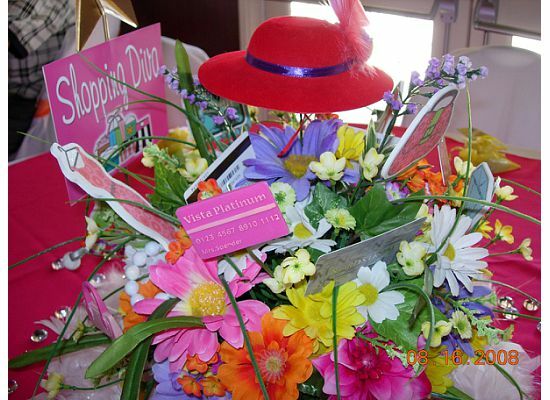 The birthday diva was picked up from her home in a limo and taken to a local hall where the guests were anxiously waiting. 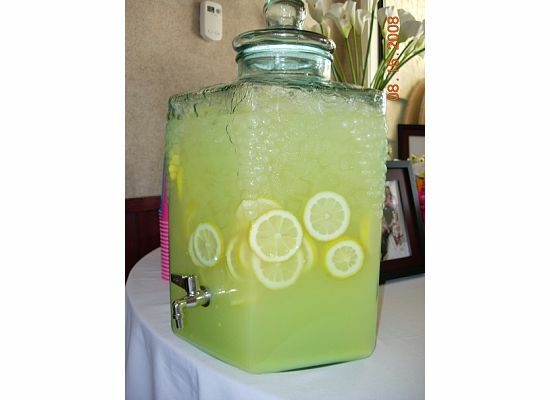 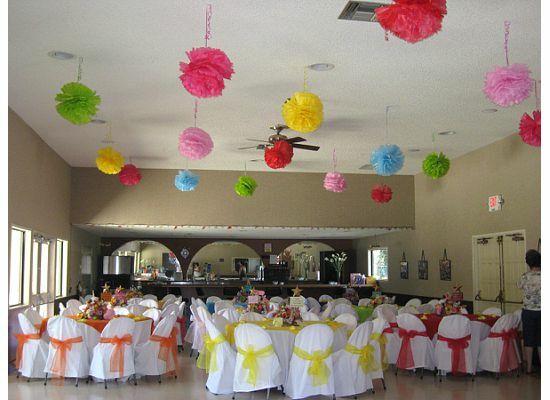 Bright summer colors were perfect for this summer party. 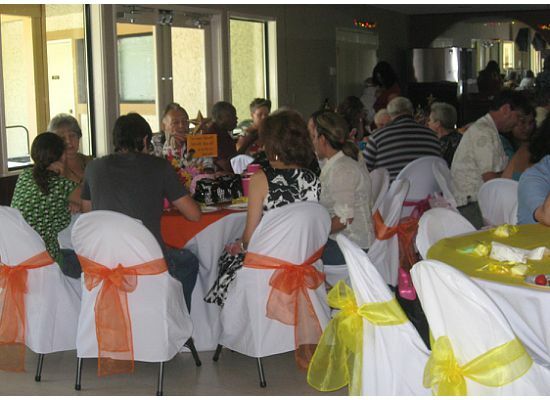 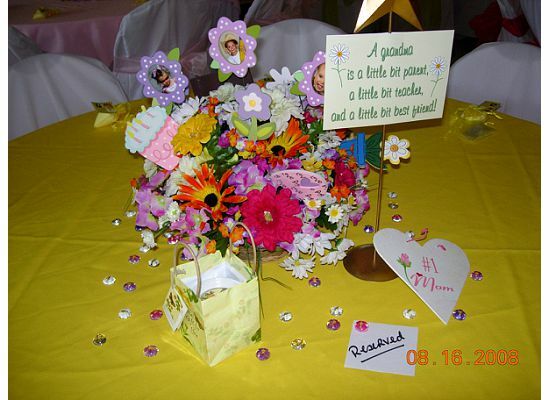 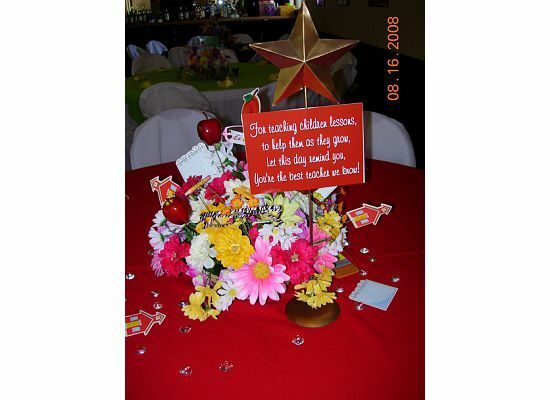 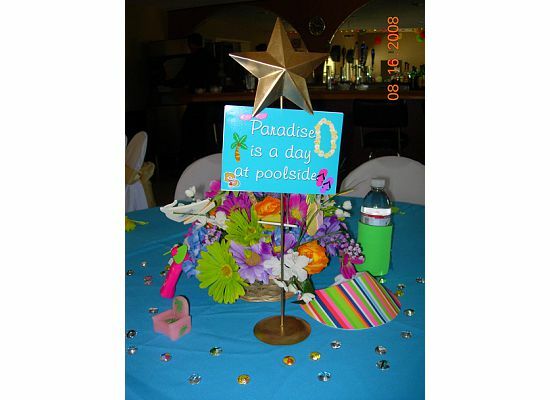 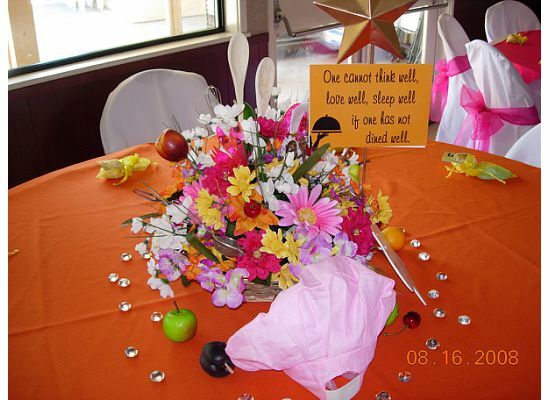 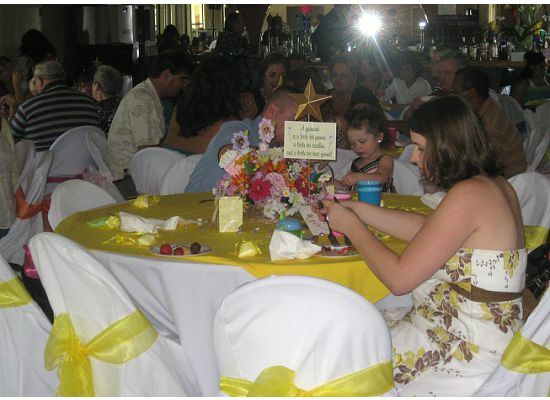 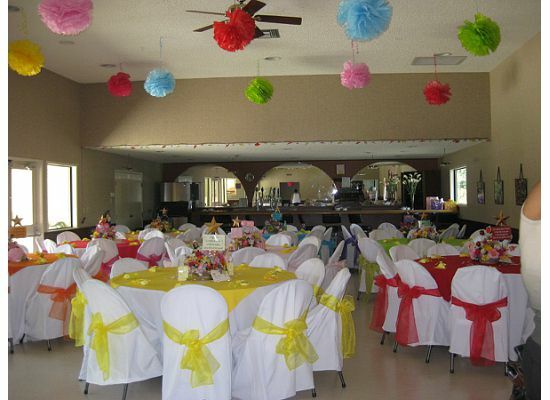 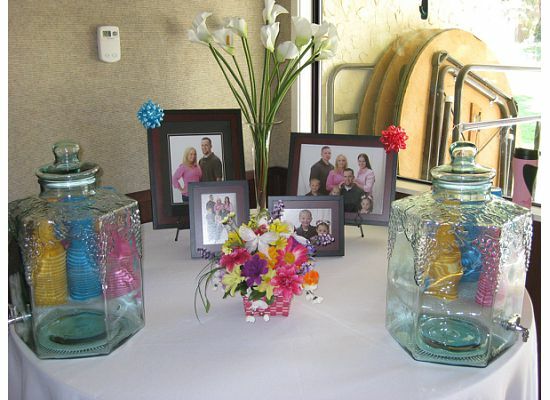 Each table, decorated in a bright color, had a single centerpiece arrangement. 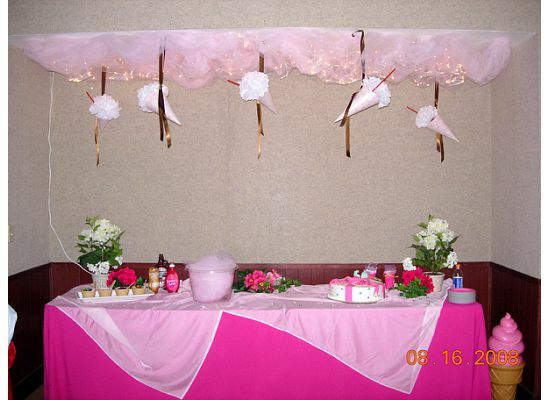 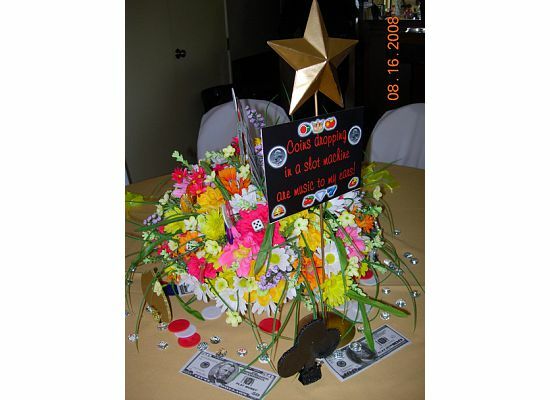 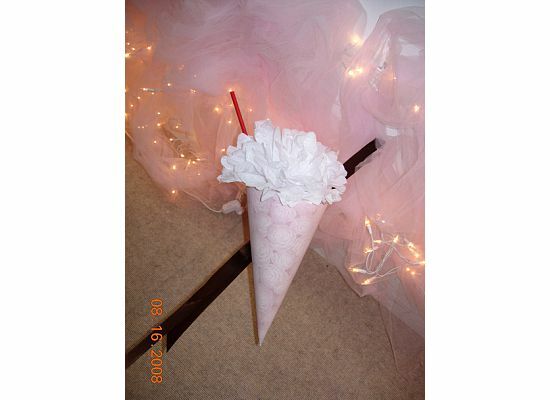 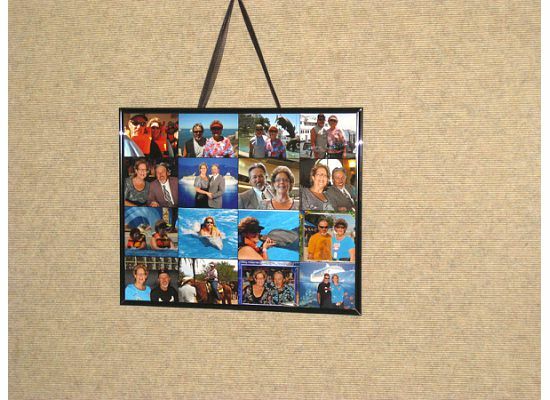 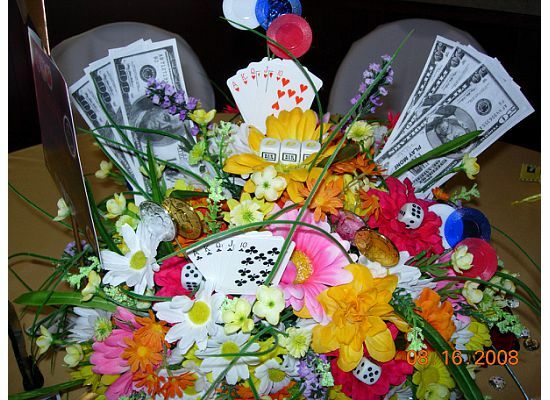 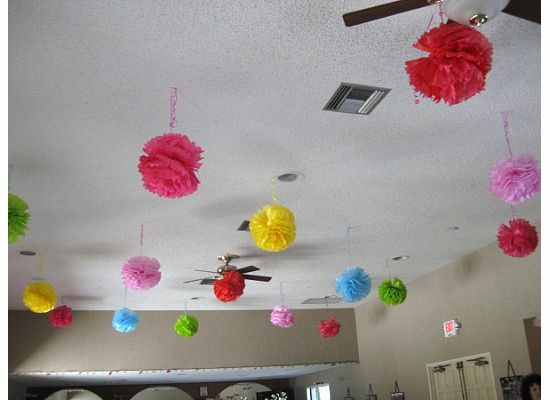 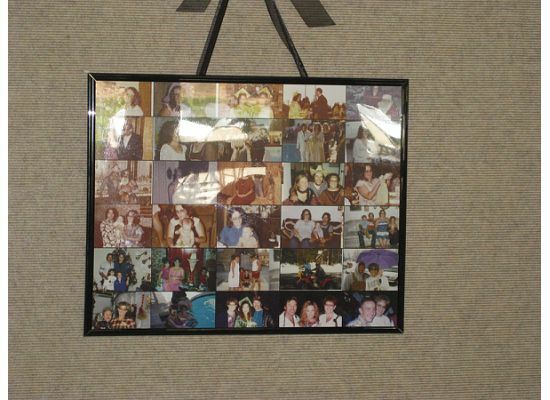 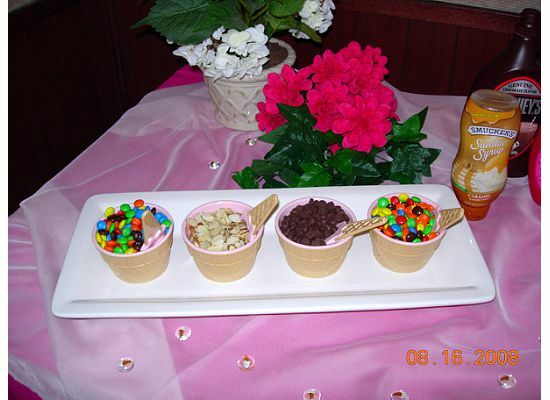 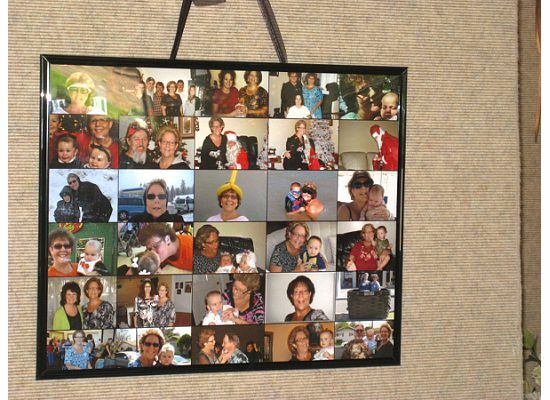 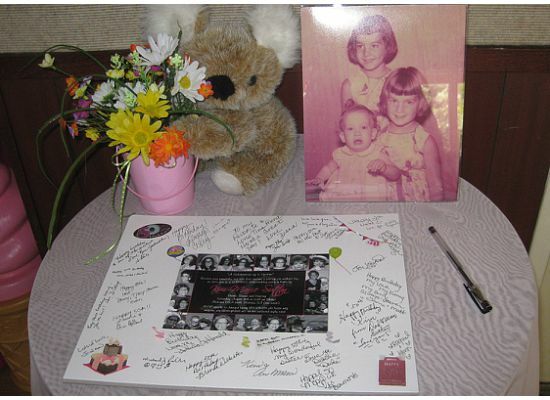 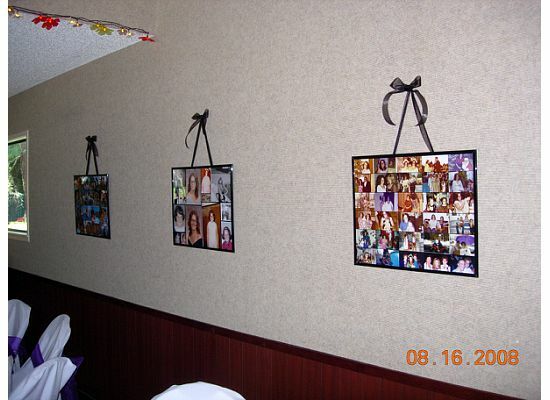 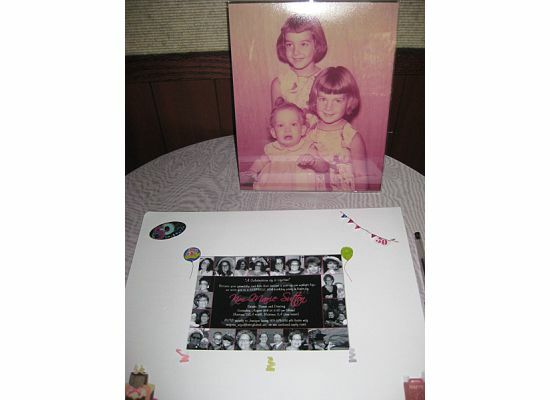 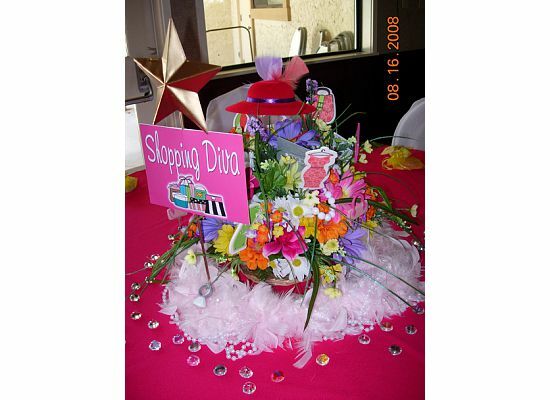 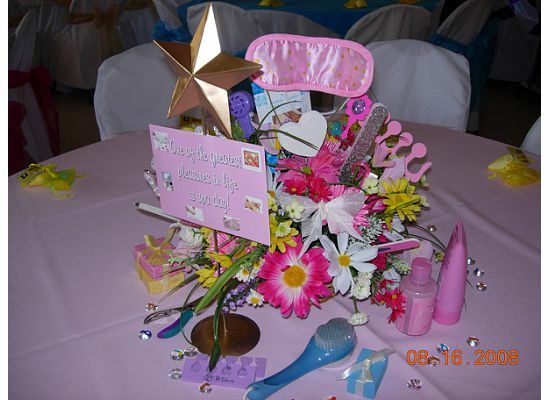 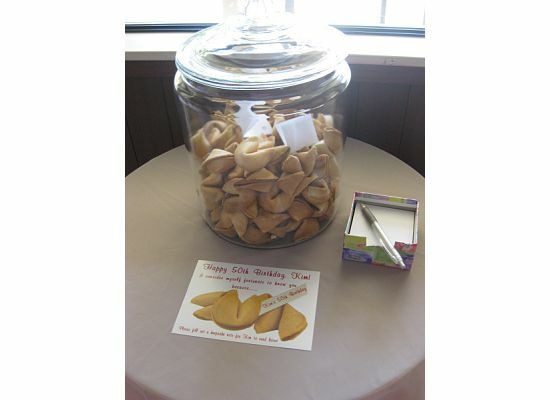 Each arrangement had a different theme pertaining to likes or hobbies of the Birthday Diva. 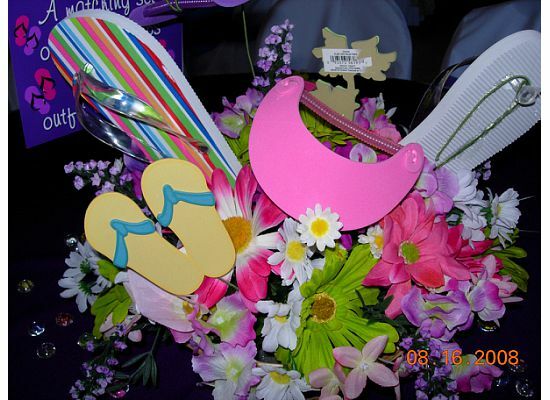 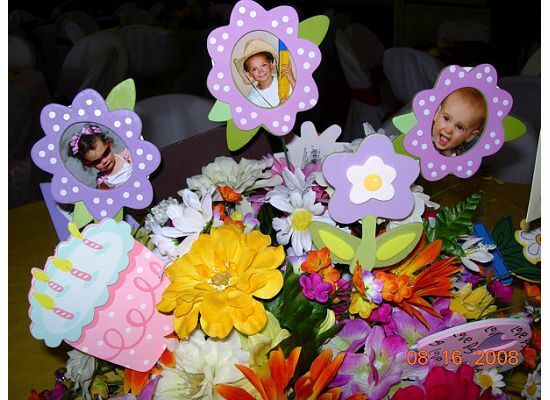 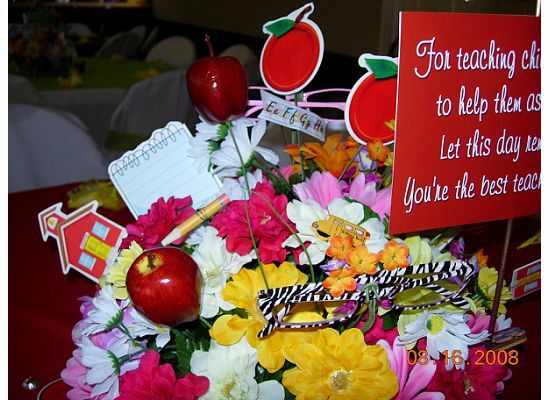 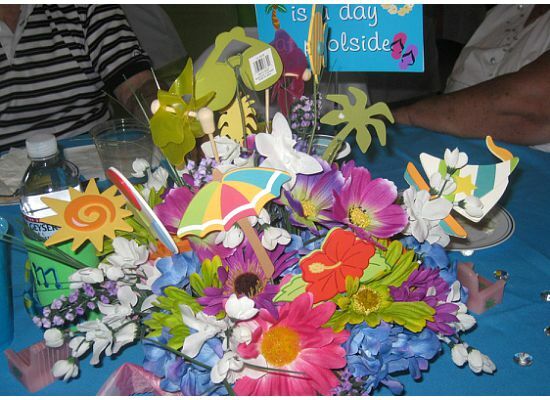 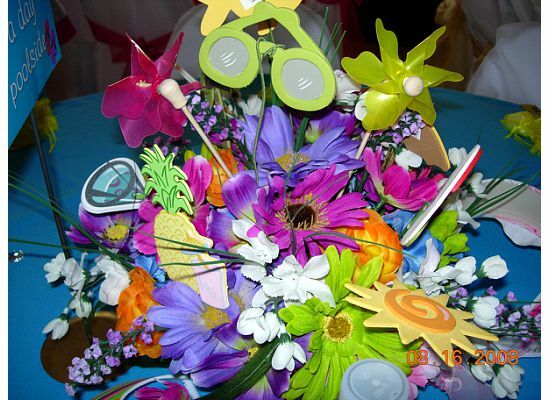 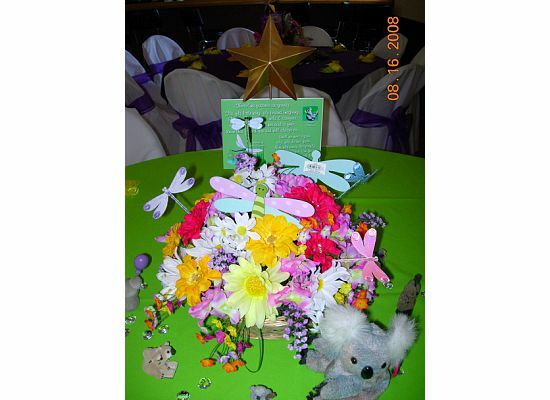 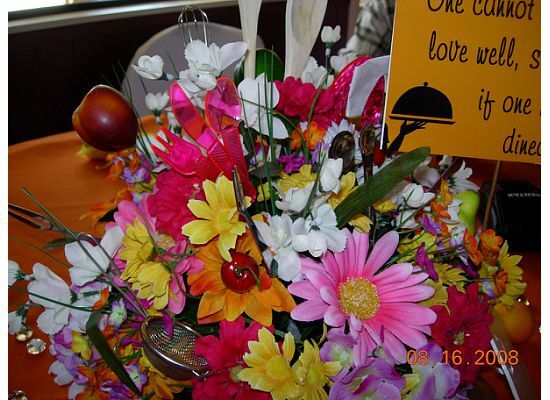 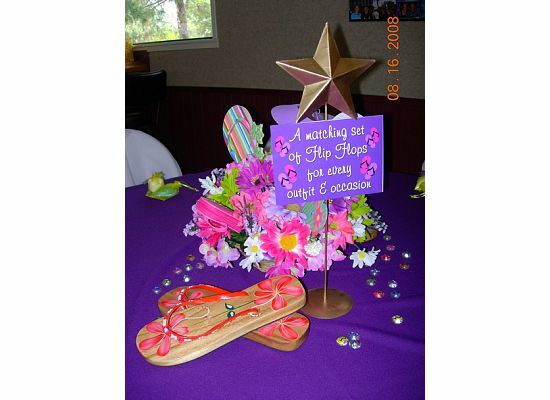 From Spa to Cooking, Teacher to Grandparent, and Flip Flops to Dragonflies... the centerpieces were the talk of the party!